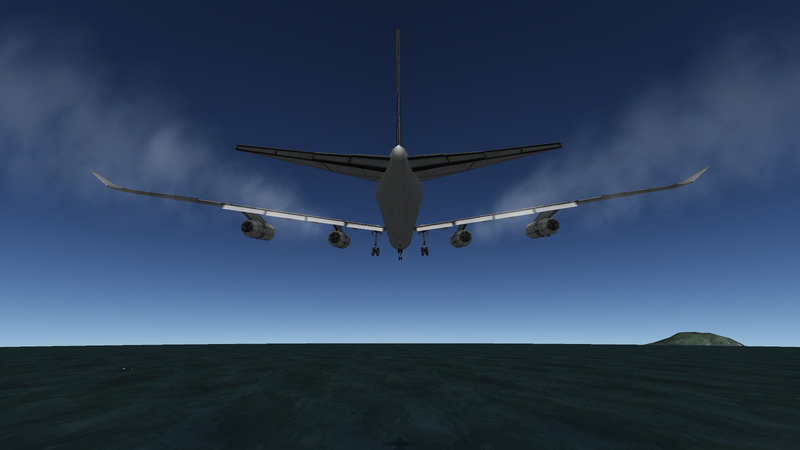 An A340 made around the same time as my fuselage-fairing test A330, so the fuselage is the same. However, the wings and tailcone are slightly different. This one was to try out new engine designs. 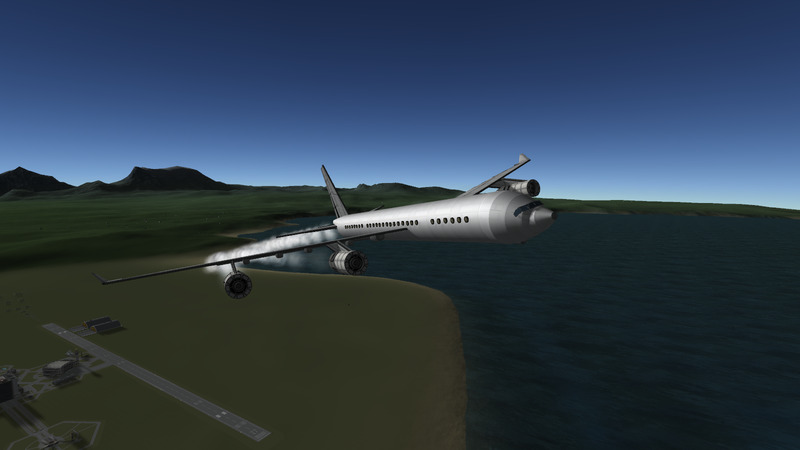 As such, it’s not the prettiest of planes, and it’s very fragile, but point is, the engines work. 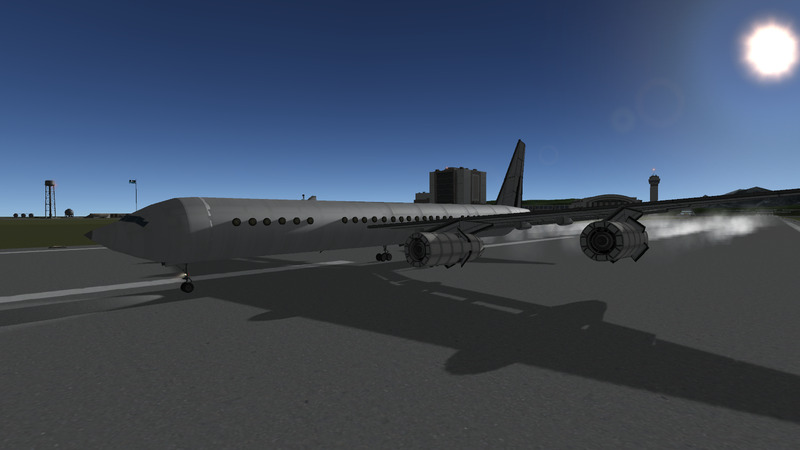 In hindsight, the A340 probably wasn’t a good choice for semi-detailed engines (ahem 502 parts). Each engine is a good 60+ parts, so multiply that by 4 + all the other parts and you get a potato for framerates. The only thing that’s fancy about these engines are the thrust reverser doors anyway. Don’t attempt any hard pitch maneuvers at any speed. Duct-taped in the junkyard in KSP version 1.6.1.